No one is sleeping. Cell phone in hand, we wait. Ready to answer in case that unrecognized number calls in to tell us the sneaker odds were forever in our favor. Some of our Ye statuses are about to go from regular citizen to revered stunter. 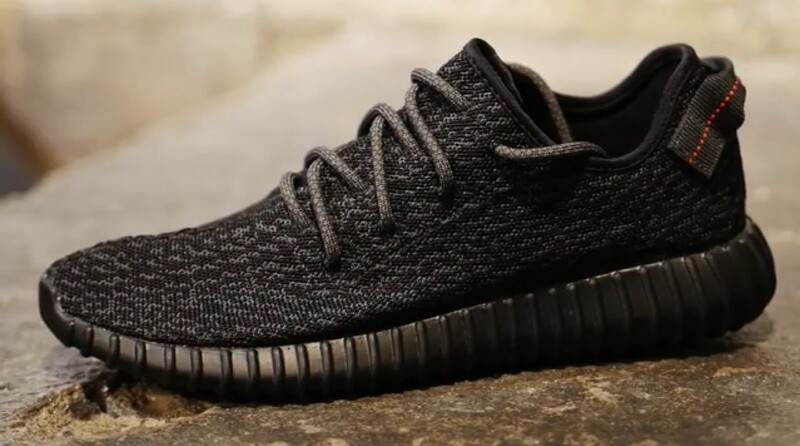 It’s been a few weeks since we’ve been hoping to add the adidas Yeezy Boost 350 ‘Black’ to our rotation. If you appreciate the artistry behind the design and significance that this shoe holds in sneaker history, then you know Kanye might have been speaking truth when he waxed about the Yeezys jumping over any other brand in its way. Furthering the justification for the hype surrounding this shoe is this next review hosted by Chelsea from Lexington Ave Culture Spot. Lexington Ave owner, Lex and special guest, Matt hold court at another dope Calgary spot, Less17 and present us a righteous review of the adidas Yeezy Boost 350 ‘Black’. Check the whole review through as they give their own opinions and drop a little info on the construct, look, and feel of this next level sneaker. The next best thing to seeing that box added to your stacks in your closet is keeping this vid on loop so it seems like you’re actually holding a pair in your hopeful hands. Press play and click on the links above to make sure you don’t miss any other offerings from two of Calgary’s best boutiques.